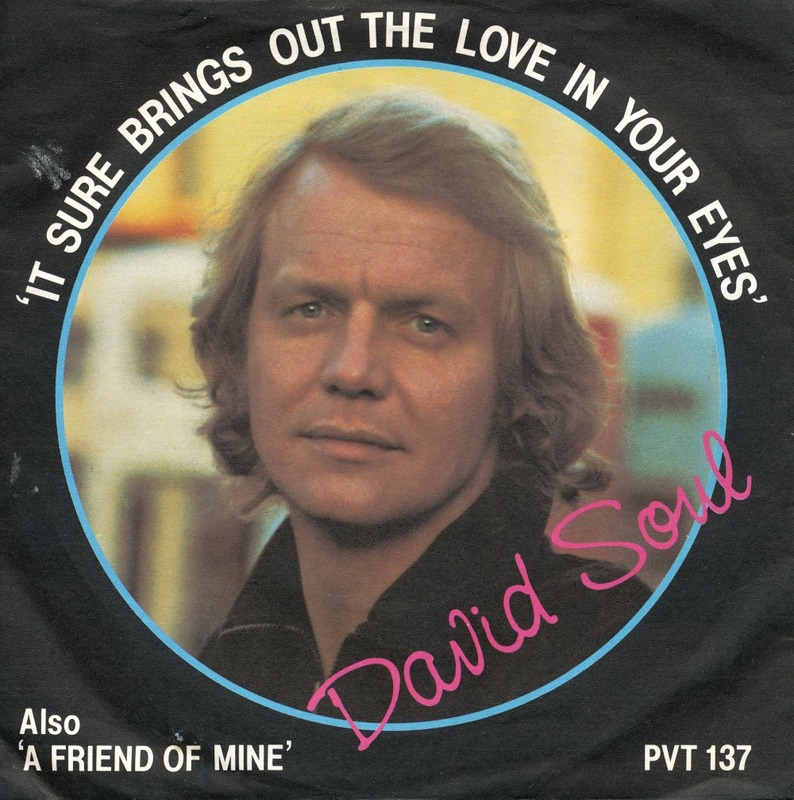 David Soul was best known for his acting, starring as Ken Hutchinson on the American TV series Starsky & Hutch, when he embarked on a singing career. His debut single, 'Don't give up on us' was a smash hit, as was the follow-up, 'Going in with my eyes open', but subsequent releases weren't as successful. 'It sure brings out the love in your eyes' was his last hit in the UK, peaking at number 12. For some reason, the B-side of this single appears in Mono sound only. 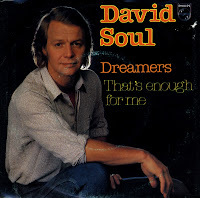 'Dreamers' is a David Soul single from 1981. The track was taken from his album 'The best days of my life', although, it has to be said, those days were already a few years behind him. He performed one of the title roles of the television series 'Starsky & Hutch' between 1975 and 1979, and his biggest hits 'Don't give up on us' and 'Going in with my eyes open' charted in 1976 and 1977 respectively. 'Dreamers' is a bit of a middle of the road affair, which didn't give him the chart success he must have been hoping for. As much as I remembered 'Don't give up on us', the only thing I knew about 'Going in with my eyes open' was that I didn't dislike the song when it was in the chart. Of course, I was only six years old at that time - so when I bought the single two decades later it was a bit of a gamble. What's more, the copy I bought originally didn't even have a picture sleeve. I replaced it two weeks after buying that one with a copy that did. 'Going in with my eyes open' peaked at number 17 in the Dutch Top 40, number 2 in the UK and number 54 in the US Billboard Hot 100. I think the British people were right: it's still a beautiful song now. 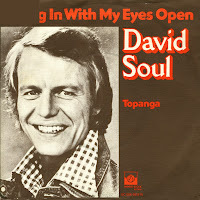 David Soul was born in Chicago, Illinois as David Richard Solberg. He gained superstar status in the 1970's when he played the role of detective Ken "Hutch" Hutchinson on the TV series Starsky & Hutch. While this series was still broadcast, David launched a successful singing career. 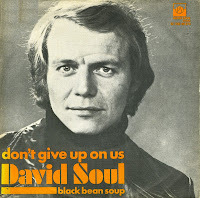 His debut single, 'Don't give up on us' reached no. 1 in America and the UK. In the Netherlands, it made no. 3. I got to know the song, like many songs in the late Seventies, through the radio and the singles collection my sister had. Twelve years later, I bought my own copy of that single. It's still a beautiful ballad.